Motorcycle accidents are quite different than passenger car accidents. Aside from sustaining injuries that are typically more serious, motorcyclists often face a bias that other drivers do not. In many cases, motorists and insurers assume that riders are reckless and always at fault for an accident. Our team understands this bias and how to defend against it. Get help from a motorcycle accident lawyer in Doral. Give the Law Firm of Anidjar & Levine a call today: 800-747-3733. What Are My Options To Recover Damages? Bodily Injury (BI) Liability Coverage: Motorcyclists who suffer injuries in an accident caused by another driver may recover compensation under the at-fault driver’s BI liability coverage. BI insurance may cover your medical bills, lost wages, and pain and suffering. Uninsured or Underinsured Motorist Coverage (UM/UIM): If the at-fault driver in your accident had minimal or no BI liability coverage, you may recover damages under your UM/UIM policy. Review and respond to all correspondence from the insurer. Make sure you do not admit liability or otherwise incriminate yourself when dealing with the insurer. Provide the insurer with all necessary documentation for the investigation. Review settlement offers and negotiate to get you the best possible deal. Once the negotiations are complete, we may decide that the insurer’s offer is sufficient and advise you to take the offer. However, in many cases, the insurer will deny your claim or make you an offer for much less than you deserve. In such cases, we may advise you to file a lawsuit against the parties responsible for your injuries. What Do I Need to Do to Recover Compensation for My Injuries? To recover compensation for your injuries, our attorneys will have to prove that the other party was liable for the accident and your injuries. Liability hinges on which party behaved negligently. We will establish negligence by showing that the other driver breached a duty owed to you and that the breach caused your accident and injuries, e.g., a motorist turned left in front of you. 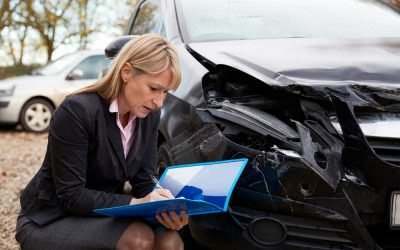 We must also establish that you suffered damages and injuries as a result of the accident. Consult with accident reconstructionists to recreate the scene of the crash and determine causation. Ask your physicians, friends and family to testify as to how these injuries affect your life. Motorcycle accidents are often catastrophic. They often lead to astronomical medical bills, time off work, and much pain and suffering. You can recover compensation for any accident-related expenses as well as noneconomic damages such as mental anguish or loss of enjoyment of life. Can I Recover Damages If I Was Not Wearing a Helmet? Yes, but it can be difficult to recover the full amount. According to Florida Statute § 316.211, Florida motorcyclists must wear a helmet unless they are over the age of 21 and purchased an insurance policy that offers a minimum of $10,000 in medical benefits. However, even if you meet these requirements, the other driver in your accident may argue that not wearing a helmet contributed to your injuries. However, Florida operates under the theory of comparative negligence. This means that even if you were partially responsible for your injuries, you can still recover damages. The court will reduce your damages by an amount proportionate to your percentage of fault. For example, if you request $100,000 for your injuries, but finds you 40 percent liable for your head injuries, you will receive $60,000. Get Help Today. Call Anidjar & Levine for a FREE Consultation. Our personal injury attorneys can help motorcycle victims manage a claim against an at-fault driver or another third party. We will protect your interests from start to finish, ensuring that the insurer does not trick you into admitting fault or downplaying your injuries. And because we handle all cases on a contingency fee, we do not recover payment unless you win your case. Call Anidjar & Levine at 800-747-3733 today for a free consultation with a Doral motorcycle accident attorney. How Long Do You Have to Report a Car Accident in Florida? Are Car Accident Settlements Taxable? Should I Give an Auto Insurance Company Access to My Medical Records? What is a PIP Suit? When Should I Get Medical Care After a Car Crash? Should I Give the At-Fault Driver’s Insurance Company a Medical Authorization After a Car Wreck?